About Us - London & Norfolk Ltd.
at Burroughs & Watson, an independent agency located in Norfolk, Virginia. and ongoing education with a dedicated philosophy to meet or exceed expectations. In 1971 Michael Gomez, the founder of London & Norfolk Ltd. (L&N Ltd.), began an insurance career at Burroughs & Watson, an independent agency located in Norfolk, Virginia. Prior to that time Michael Gomez was employed by Bain Dawes – Lloyd's Broker for one year, as well as Burroughs & Watson for 19 years. Cindi Kline also worked for Burroughs & Watson for 10 years. There were three other Burroughs & Watson employees that helped start London & Norfolk. Since that time London & Norfolk has hired numerous experienced employees. We are fortunate to have clients from Cleveland to New York to Baltimore to Florida and the US Virgin Islands. Our business is approximately 50% marine and 50% property and casualty. We truly care about our clients and their business/insurance needs. We try to put clients together for business purposes to help both clients needs. We are fortunate to have the ability to access most American insurance companies for quotes for our clients, and further we are able to access the rest of the world for insurance needs through numerous Lloyd's Brokers. We would be honored to meet with prospective clients to help design an insurance program that is comprehensive and priced competitively. We promise to service your companies insurance professionally. client-centric, service and results driven, innovative, independent, flexible, global perspective, responsive, accurate, experienced, effective, ethical, relationship building and accessible corporation focused on leveraging technology and ongoing education with a dedicated philosophy to meet or exceed expectations. to analyze and make decisions producing long term client success. From left to right: Michael Moore, Michael R. Gomez, Cindi Kline, and Riley Gomez. Michael Gomez started in the insurance business in 1972, working for Burroughs & Watson in Norfolk, Virginia. He spent one year as a Lloyds Broker at Bain Dawes in London. His experience involves providing advice, insurance coverage, claims handling, and all the related needs for clients in the United States and The US Virgin Islands and Puerto Rico. Cindi began her insurance career in the bond department at Aetna P&C in 1982 and then joined Burroughs & Watson, Inc. as a licensed Property & Casualty agent working with Michael Gomez. In 1992, she helped Mike form London & Norfolk, Ltd. Shortly thereafter, she moved over to finance and accounting functions along with system administrator and human resource duties for the company. She is currently the President of London & Norfolk Ltd. In 1998 Riley Gomez joined London & Norfolk Ltd. as a Commercial Insurance Agent focusing on insuring the unique exposures specific to the maritime industry by producing and providing intricate and sophisticated insurance programs for terminals, shipyards, tug and barge operations throughout the world. He was a guest speaker at the Travelers University in Wilton, Connecticut, claims adjusters training sessions, and also testifies as an expert witness for various local maritime attorneys. Riley is actively involved in the management of insurance programs and claims in addition to attracting new business for London & Norfolk Ltd.
Michael Moore joined London & Norfolk Ltd. in 2004 and is an expert in technical sales, management, and regional and international business development. Since joining London & Norfolk Ltd., Michael has developed proficiency in producing, managing and servicing larger complex commercial accounts with national and international operations. He is experienced with bonds and all types of commercial property and casualty insurance policies including large USL&H accounts, large property schedules, liability policies of all types, international coverage, commercial automobile, environmental and pollution coverage, professional liability, management liability and cyber liability. Michael is client-centric service focused with an expertise in coverage analysis; effective, efficient marketing efforts; claims management; contract review and analysis; risk transfer; loss control support; and proactive and responsive service to meet clients specific needs and situations. An experienced speaker Michael has lectured at local trade associations on risk transfer, workers compensation topics and environmental risks and serves on various local committees and boards. 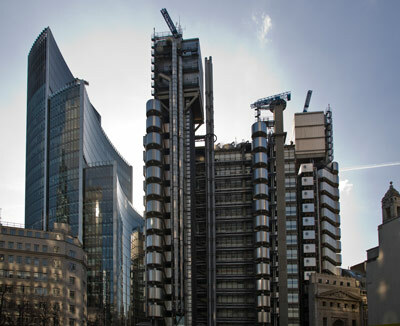 London & Norfolk serves the insurance and risk-management needs of commercial entities world-wide through smart, effective insurance brokerage.